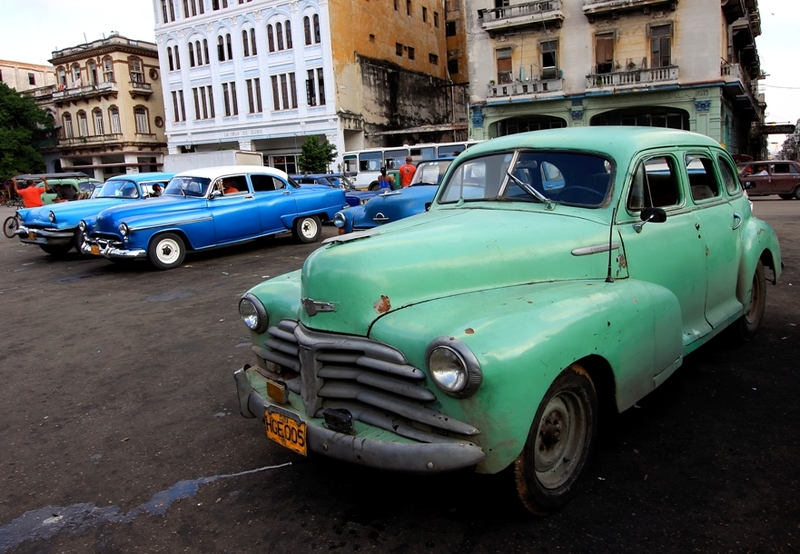 drivingandlife: New Cars For Cuba? Images from Havana showing a colourful variety of ancient American cars still in use is a common stereotype of Cuba, more than 50 years after the revolution led by Fidel Castro. Now it appears that Cuba might be about to get some new cars! Cuba could be looking at a form of private enterprise to prop up the communist model, and that might mean Cubans can go shopping for new wheels. Taking a breather from his usual fiery outbursts and tirades against the west, and the USA in particular, Fidel, now 85, is reported as saying "The Cuban model doesn't even work for us anymore." The interview in the magazine The Atlantic more or less endorses moves by Fidel's 80 year old brother Raul, now Cuba's President, to allow citizens to own their own businesses, set prices, make profits (and pay hefty taxes), to get some cash into the government's coffers. However, ordinary Cubans don't seem ready to completely embrace fully-fledged capitalism yet, with many citing the social schisms in Russia after the fall of communism, like the rise in gangsterism and corruption, and control of wealth by oligarchs. 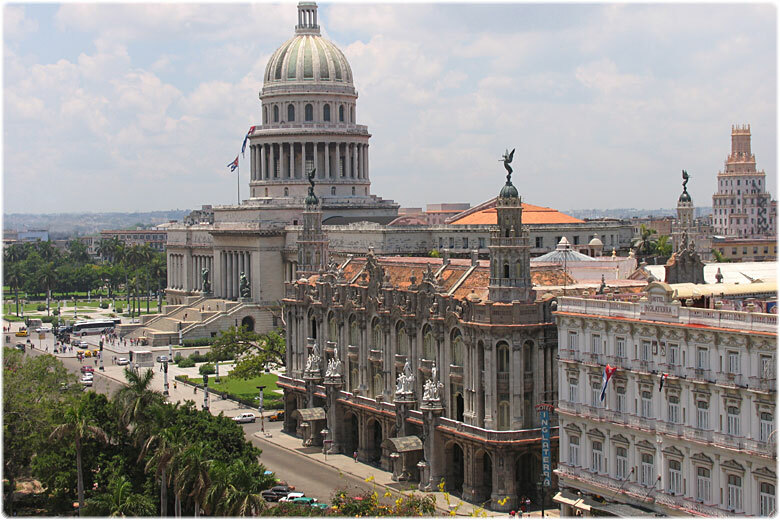 Cubans are rightly proud of the success of their state healthcare, their state education, and the relative safety and stability of life there, despite unrelenting ranting from the vocal minority of expatriate, right-wing Cubans in the USA. Tourism to Cuba is on the rise, and foreigners are now able to lease land for up to 99 years, which all means more cash for the fragile economy. There may even be an opening for some entrepreneurs to start importing new cars. Mind you, with Havana the last outpost of some real classics, there might also be room for opportunist restorers to grab an ancient Yank tank, and put it on the lawn at Pebble Beach! This could be good business for Cuba, especially if it follows the Bermuda model. The Bermuda government won't allow a new car to be imported, until one old car is exported. Makes for a very modern car parq! 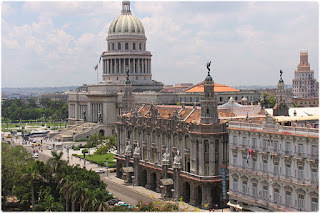 I choose for my holidays in Cuba, I always travel to Havana and after a couple of days going around and meeting friends. If you are planning to travel around Cuba by car, please read this article Rolls Royce Exporter. You will need it! Here are all the instructions and guideline about traveling. I am happy to find your blog. I really like to read this article. Your article is the most complete out there, and self import car to Singapore will show you the whole process from finding the car to inspecting the car and sealing the deal. Ford Australia - Fall Into Line!